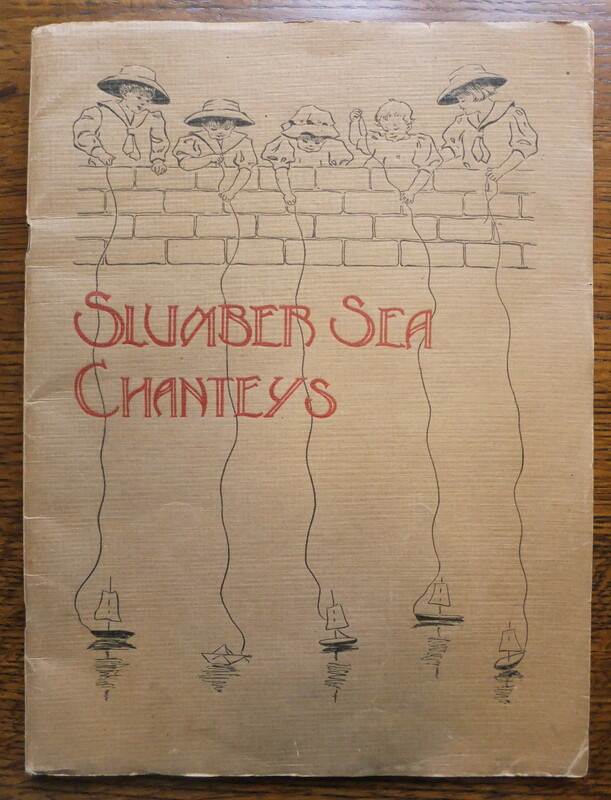 Slumber Sea Chanteys (1910) was the only sheet music Paul Elder ever published (there are a few pages of music in Knight of the Burning Pestle). 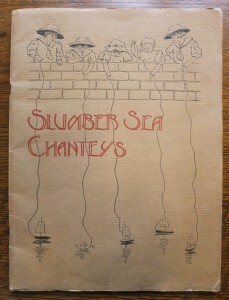 It is a selection of children’s lullabies on nautical themes. It is also the first Paul Elder I ever bought, though I only realized it five years later when I began to collect Elder in earnest. 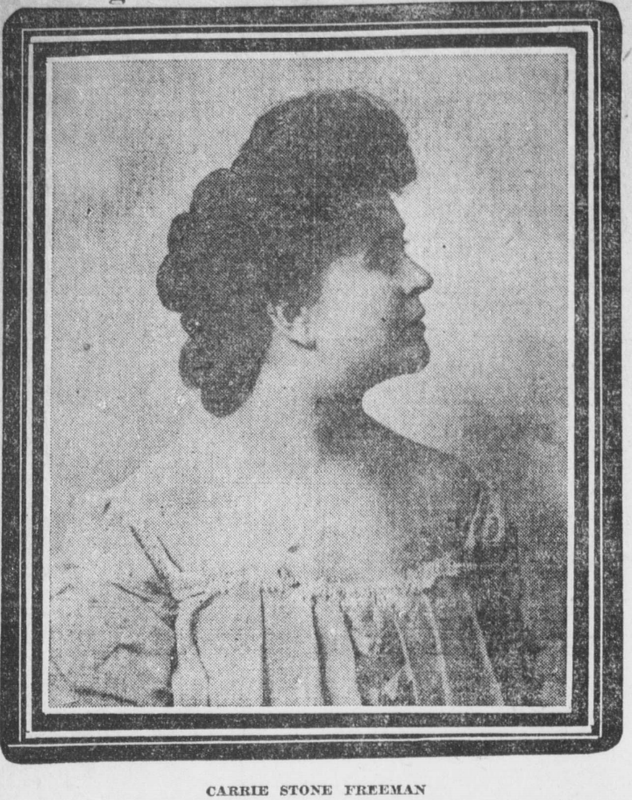 Composer Carrie Stone Freeman in 1910. Carrie Stone Freeman, chairman of music for Southern California Women’s club, has a new theory of learning music from nature. Mrs. Freeman is well known in this section in club work and has visited with clubs in this county many times. This is her advice: Listen to the birds and learn to sing. Try to catch and put into musical notation the clear, vibrant joyous calls of the Meadowlark and the mockingbird. Go where you will, is the big outdoors, land or water, and learn from the greatest music master in the world–Nature. Mrs. Freeman is speaking to club women in almost every part of the state, so popular is her subject proving. 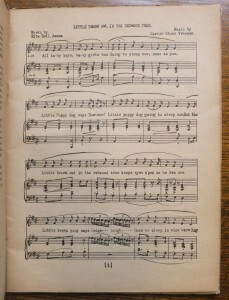 Just a few days ago she received a manuscript copy of the new song written by the well known American composer, Mrs. H. H. A. Beach; words by Ina Coolbrith of San Francisco. 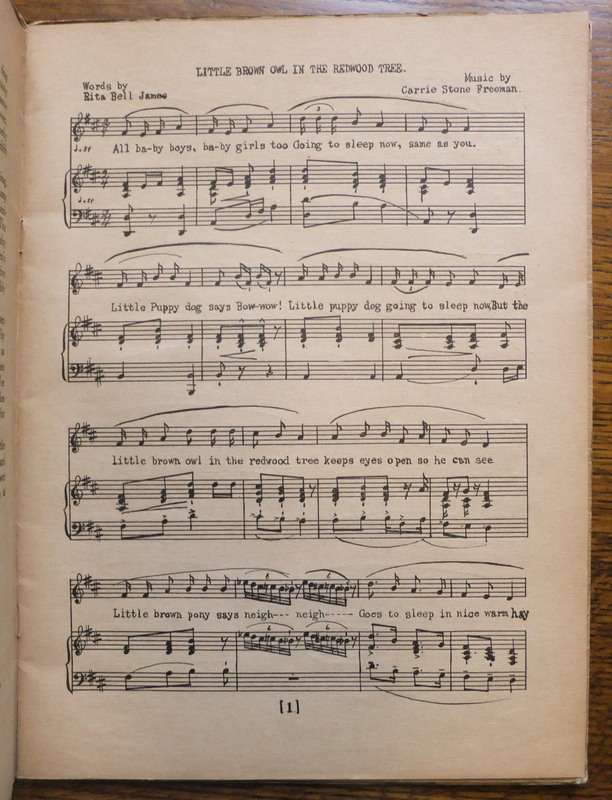 It is dedicated to Mrs. Freeman and is called “Meadowlark.” The motif of the composition is one of the meadowlark calls which Mrs. Freeman frequently uses in announcing her arrival at the artistic Freeman home at the western terminus of Sixteenth Street. 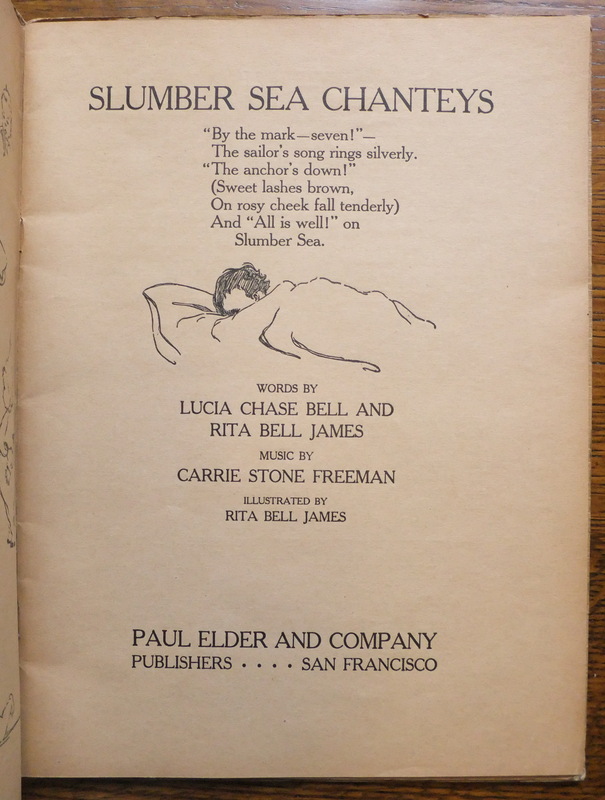 Mrs. Beach heard her using it, while a house-guest, and begged permission to build a song on it. Co-author Lucia Chase Bell (1848-1938) also wrote the Elder publication Obil, Keeper of Camels. Her husband, Thomas Cowan Bell (1832-1919), was one of the founders of the Sigma Chi fraternity. 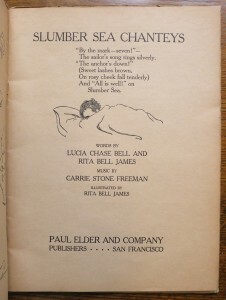 I can find no information about co-author and illustrator Rita Bell James.